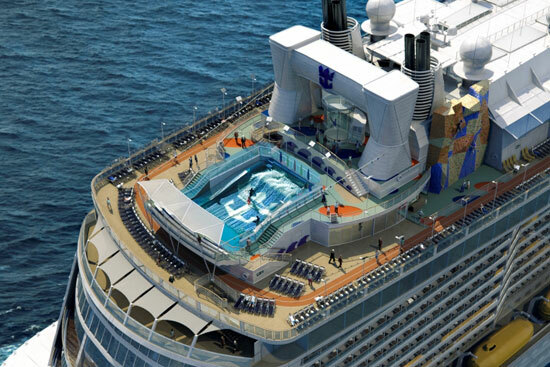 Included as part of the cruise package. 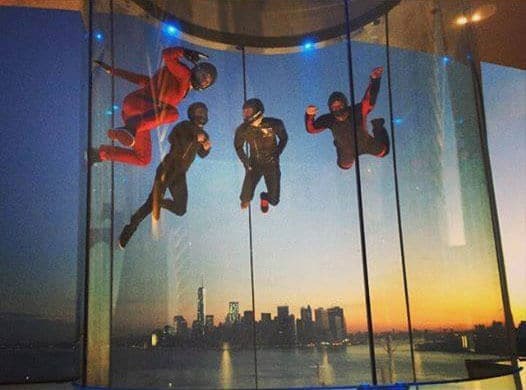 RipCord by iFly is arguably one of the most unique wind tunnel installations in the world. The wind tunnel its atop the stern (back) of the ship along side a flow rider (surfing simulator) and a rock wall. 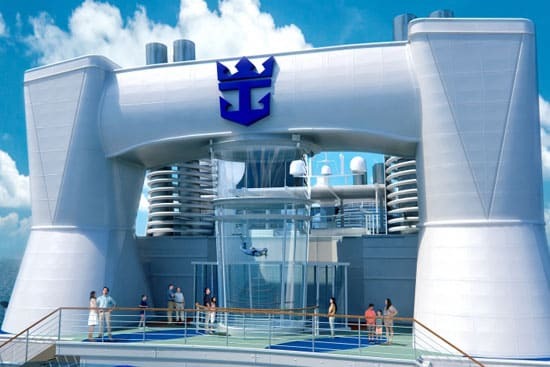 The wind tunnel brings indoor skydiving to the high seas for passengers traveling on the new Royal Caribbean Quantum class ships. This tunnel on Quantum of the Seas is the first ever wind tunnel installation on a cruise ship. The wind tunnel has a 10 foot diameter chamber which is 23 feet tall. Browse all Tunnels in or expand your search worldwide.